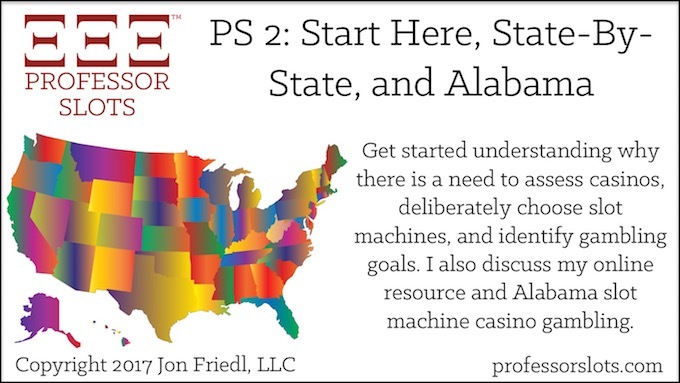 Professor Slots Podcast Episode #2: Start Here, State By State, and Alabama Slots 2017. The importance of assessing casinos, choosing slot machines, identifying gambling goals, and building an online resource. Plus, Alabama slot machine casino gambling. 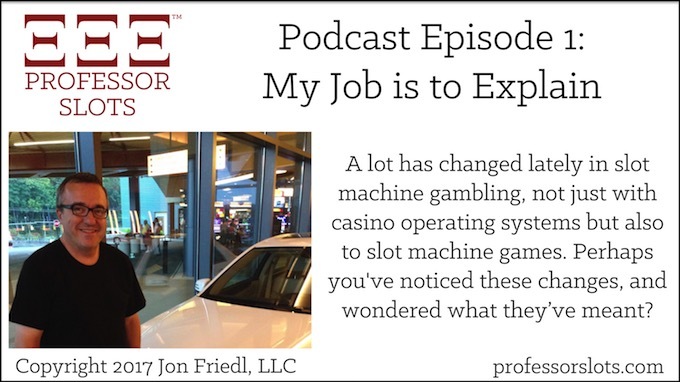 Professor Slots Podcast Episode #1: My Job is to Explain. A lot has changed lately in slot machine casino gambling, with both casino operating systems and slot machines. Perhaps you’ve noticed these changes, and wondered what they’ve meant? Here, you’ll find the explanations you’ve been wanting.